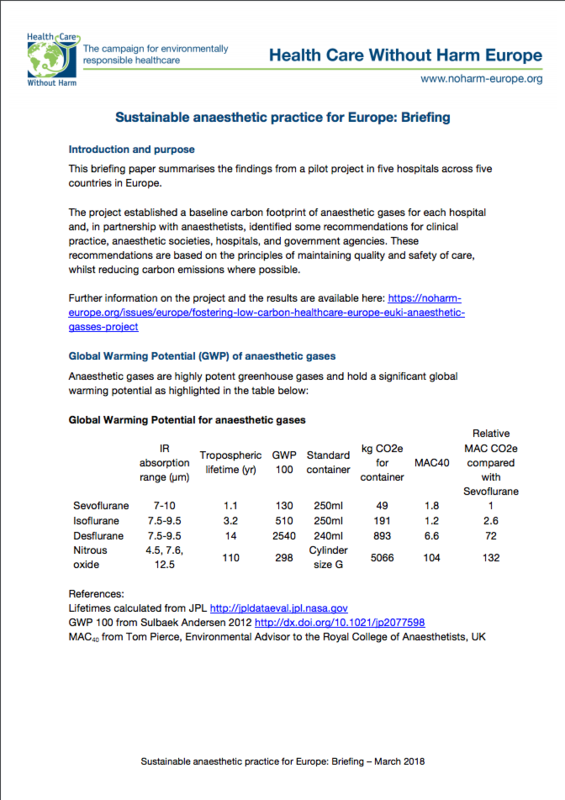 With financial support from The European Climate Initiative (EUKI), HCWH Europe launched a pilot project to support six European hospitals in measuring their carbon footprint, including greenhouse gas (GHG) emissions from the use of anaesthetic gases. During the project, (which ran until March 2018), HCWH Europe worked with hospitals from France, Germany, Poland, Portugal, Spain, and Sweden to measure emissions and share data. Two experts, who are experienced in technical data and interpretation of data, provided training and expertise to the participating hospitals. 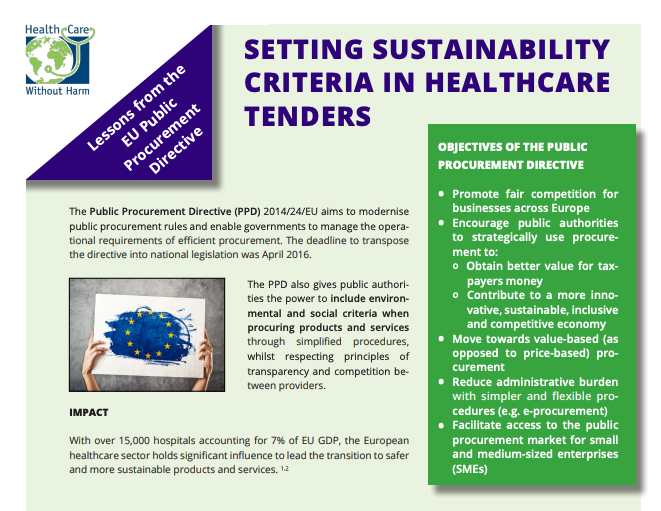 HCWH Europe have published a summary of the project's closing meeting, which includes the featured presentations from participating hospitals and the project summary, including the project overview Fostering Low Carbon in Healthcare. 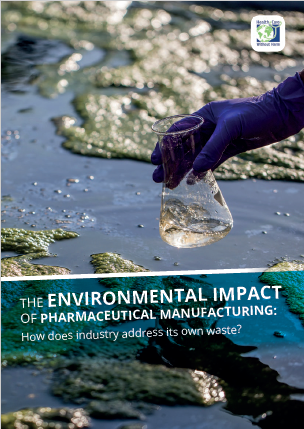 As part of the project, a software consultant also developed a tool for measuring and calculating the carbon equivalent of anaesthetic gases specifically. 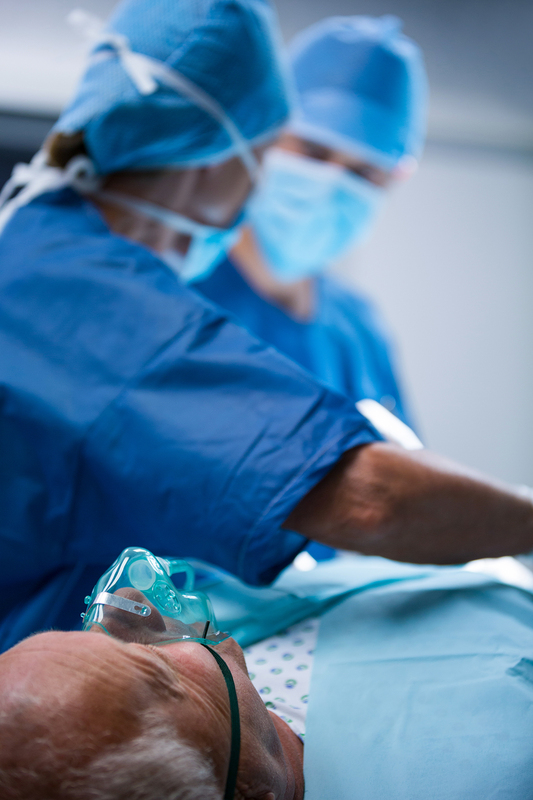 While tools to quantify GHG emissions from energy use are available across multiple sectors, the use of anaesthetic gases is unique to the healthcare sector and tools to calculate emissions from their use are not widely available. The development of this tool will facilitate the healthcare sector's ability to focus on these GHG emissions and track hospital’s progress in reducing them. 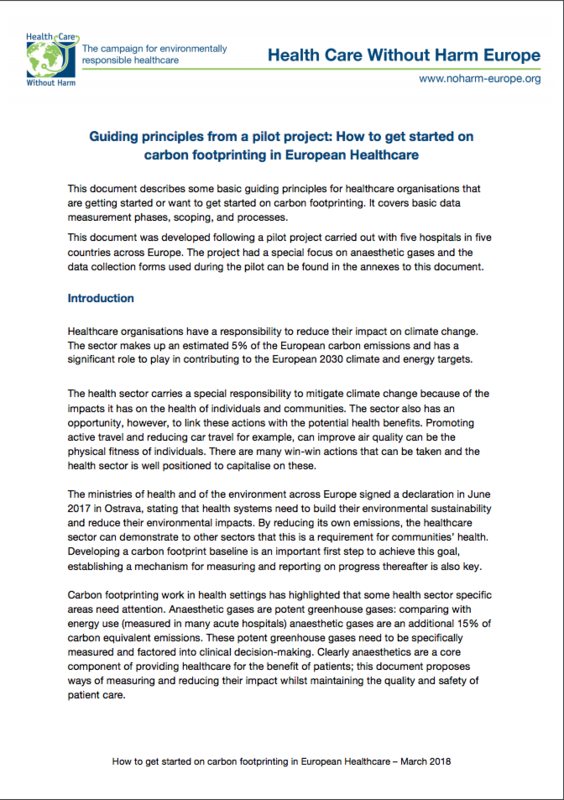 At the end of this project HCWH Europe produced two documents: Guiding principles from a pilot project: How to get started on carbon footprinting in European Healthcare and Sustainable anaesthetic practice for Europe: Briefing. 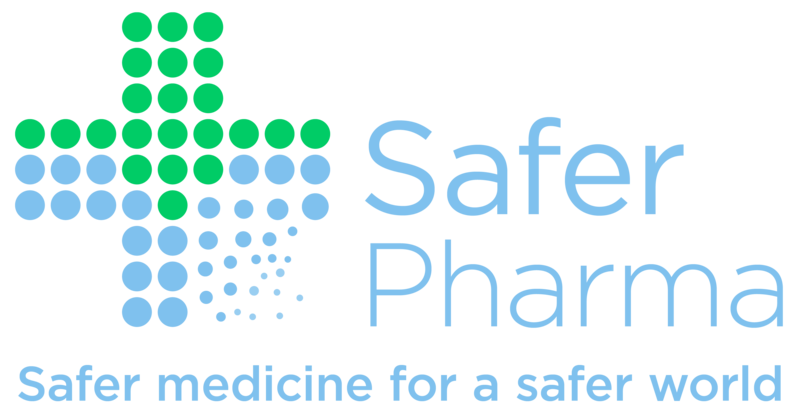 Based on data from the measurement tool, a section specifically on anaesthetic gases will be included. 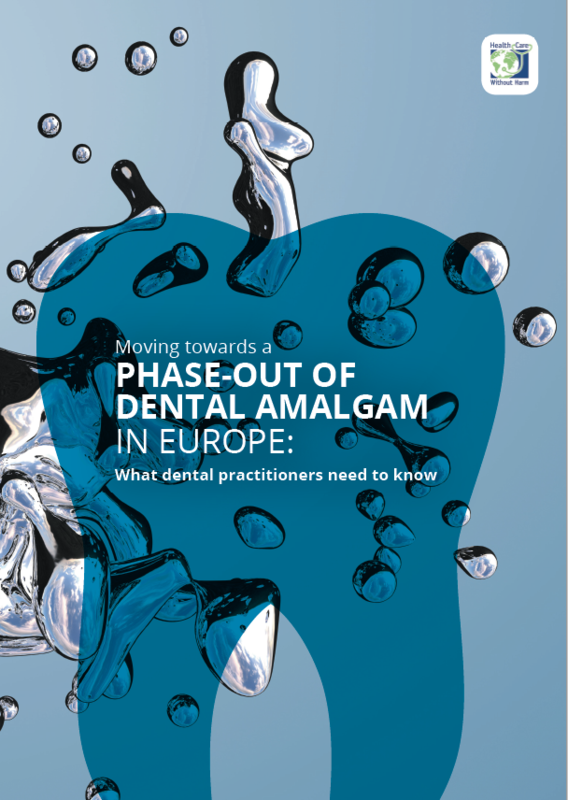 These guidelines and recommendations will be the basis for scaling up the project, and for laying the foundation for the setting up of carbon reduction targets in healthcare at a national level in Europe. [DE] Leitprinzipien aus einem Pilotprojekt: Wie wird mit dem CO2-Footprint in der europäischen Gesundheitsversorgung begonnen?